Loughborough University UCU and Unison branches are teaming up to celebrate International Women’s Day on March 8th. Each year International Women’s Day is celebrated across the globe. It is widely celebrated as an opportunity to draw attention to the struggle for women’s rights, to link these up with women’s struggles worldwide and to demonstrate international sisterly solidarity with working women everywhere. 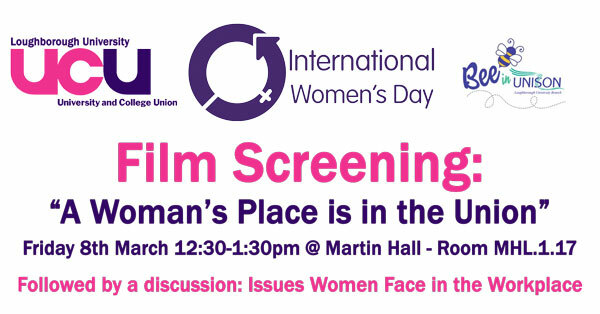 To celebrate International Women’s Day we will be screening a UCU produced film titled ‘A Woman’s Place is in the Union’ to raise awareness and to encourage all women to play an active role within their union at local as well as national level. This will be followed by a discussion on the issues facing women at work today, led by women officers from both union branches. 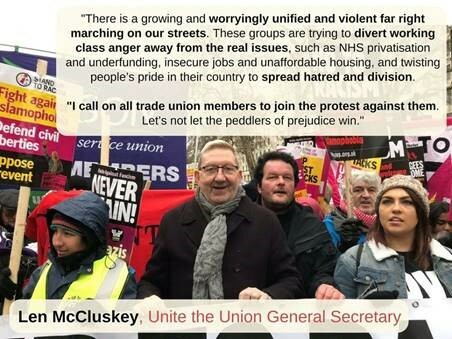 Please come along to Martin Hall room MHL.1.17 at 12:30pm on Friday 8th March and encourage your colleagues to do the same.